Depending on how long you’ve been hangin’ ’round here, you may or may not remember my Buffalo Chicken Extravaganza last year. 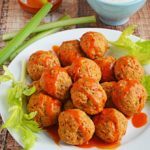 Basically, when the Super Bowl was drawing near, I went absolutely balls-to-the-wall, full-speed-ahead into buffalo chicken territory. Afterwards, I vowed to lay off of the buffalo chicken for about a year, and I almost succeeded. Almost. It’s been about 9 1/2 months, and I really think that’s long enough, don’t you? 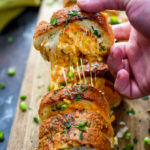 In case you’re curious, I was inspired to make this recipe when a friend of mine told me that she “would literally drink buffalo chicken” if it were possible. 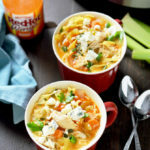 Now, a buffalo chicken smoothie is a little too out there, even for me, but… what about buffalo chicken soup? 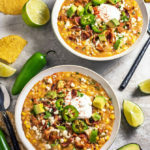 Corn chowder seemed like the perfect fusion food because of the existing flavors and ingredients, and spicy corn chowder just happens to be one of my favorites. I experimented a bit, and let me tell you, the first attempt wasn’t great. At all. Despite being the self-appointed queen of all things spicy, I thought my tongue was liquefied from the heat. It was painful. However, the second time around, I cut back on the hot sauce and took out some of the unnecessary spices and it was perfect! 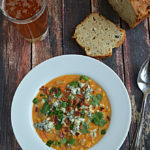 If you are a buffalo chicken fanatic (like my college roommate) then put this Buffalo Chicken Corn Chowder on your must-make list for the colder months approaching. Jackie, I’m looking at you. You can make this, and you will love it. Do it. 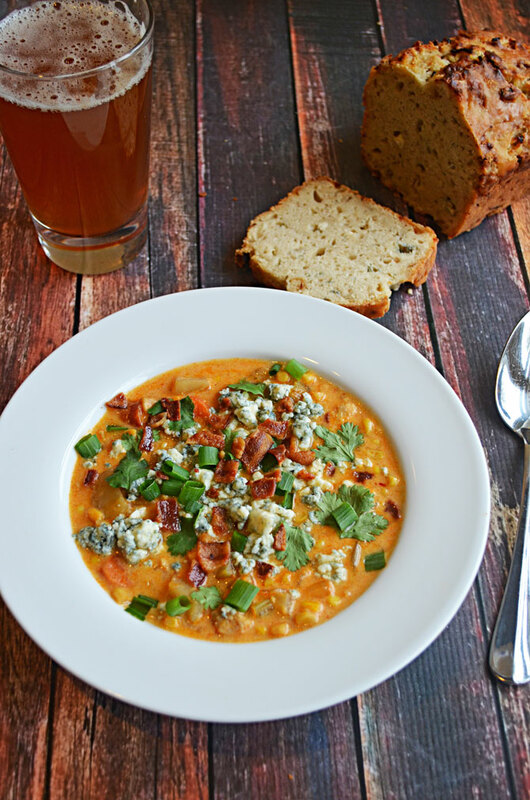 This spicy, flavorful soup is perfect for any buffalo chicken lover on a chilly day! Heat a medium-sized pot over medium heat and cook the bacon until crispy. Remove the bacon from the pot and set it on a paper towel lined plate to drain. Drain half of the bacon fat, raise the heat to medium-high, and sear the chicken on all sides. Pour in 2 tablespoons of the hot sauce and cook the chicken until it has absorbed most of the sauce. Remove the chicken from the pot and set it aside. Add the onions, celery, and carrots to the pot and saute until the onions are almost translucent, about 5 minutes. Add the chopped potato and saute another 5 minutes. Add the garlic, paprika, and a pinch of salt and pepper and saute until the garlic becomes fragrant, about one more minute. Add the corn to the pot and mix it well with the other ingredients. Cook for 5 more minutes. Add the chicken broth and cream and let warm. Slowly add in the hot sauce, mixing well, and taste testing as you add. Remember, it’s best to start with less and add more if necessary than to add too much right away and then have to try to cut the spice. When the mixture is slightly less spicy than you’d like (it will become spicier as it cooks), turn the mixture to a low simmer and cook for 20 minutes. Ladle half of the soup into a blender or food processor and puree until creamy (or you can use an immersion blender). Pour the creamy soup back into the pot with the rest and stir to combine. Season with salt and pepper, to taste. Put the chicken back into the pot and cook for another 5 – 10 minutes to heat the chicken back up. 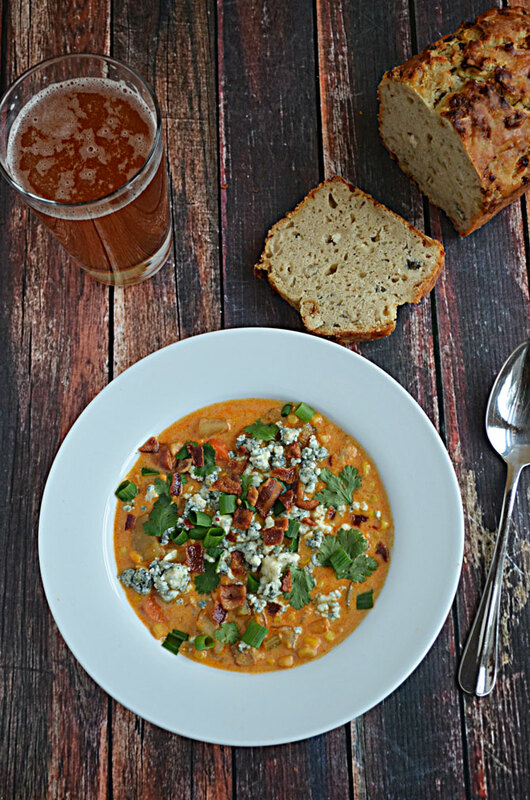 Top the chowder with the bacon crumbles, fresh cilantro, chopped green onions and blue cheese crumbles, and serve. 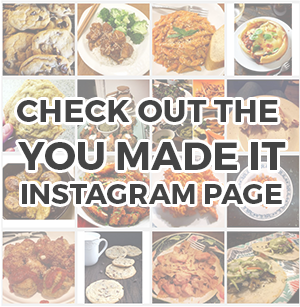 I love this recipe so much, we’ve made it several times now. Thank you! Glad to hear it, Becky!! Love, love, love this recipe. Plus, it’s always fun to use the immersion blender. Thanks!